Taught western art history as an adjunct professor at Seaton Hall University. Danielle Oteri is a former writer for TripSavvy covering museums around the world. Throughout her career, Oteri has worked for and with many of the best museums in the United States and knows what goes on behind the scenes as well as what inspires museum-goers. She began her museum career when she was 19 answering thousands of questions at the information desk of the Museum of Modern Art in New York. Since graduating from college she has worked as a communications consultant for several major museums and at The Met Cloisters. 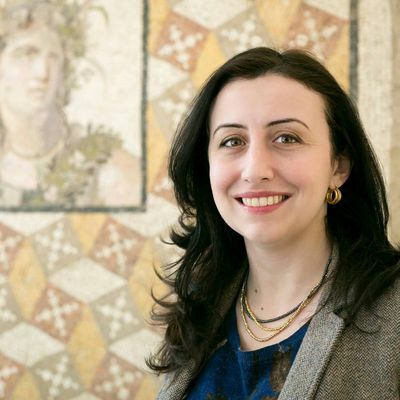 In addition, Oteri serves as a private museum guide in New York and curates small group food, wine and art tours in southern Italy with her own company, Feast on History. She also has led an Arthur Avenue Italian food tour in New York integrating food and history. She has given hundreds of lectures at museums including The Met Cloisters, the Morgan Library & Museum, and The Frick and taught a survey of western art history at Seton Hall University. Oteri earned a BFA in graphic design from Fashion Institute of Technology in New York. She worked as a web designer and eventually moved to Florence, Italy for a year to study art history. She later completed her MA at Hunter College where she specialized in the late Middle Ages and Renaissance in Naples.